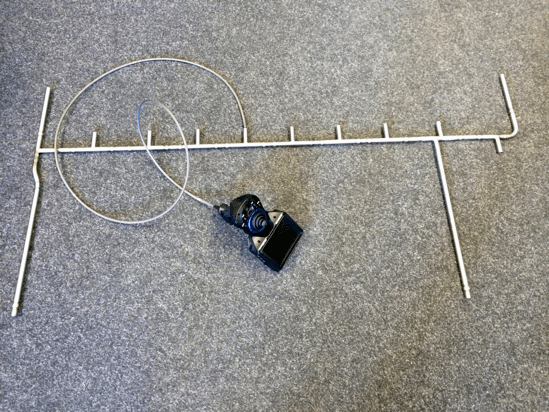 PSS Engineering provide many non-destructive testing procedures to complement our products and for external manufacturing to provide peace of mind and specification conformance. 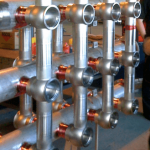 High purity process piping supplied by PSS Engineering requires strict endoscopic examination records which conform to ASME BPE Section MJ-7.3.3 Tubing. 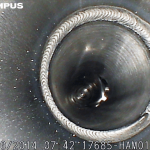 Our in house borescope provides high definition image and video capture for the inspection of internal areas of vessels, tubing and complex fabrications. 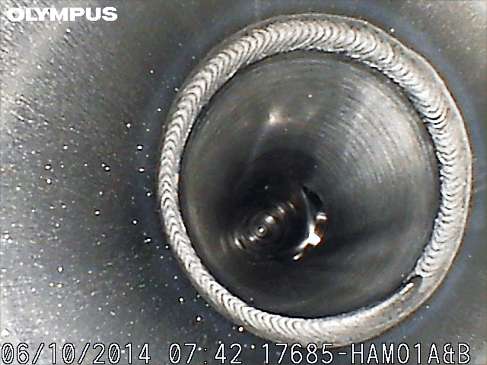 Our in house borescope is a modern Olympus 6mm diameter tipped fibre optical fed unit. The tip control using the small and robust handheld unit allows inspection of the most inaccessible areas possible. Our partnerships with various industry leading third party organisations have allowed us to perform weld endoscopy examinations complete with acceptance from PNC Level II weld inspectors. We can provide video evidence complete with weld map identification and signing off sheets to conform to various process standards. 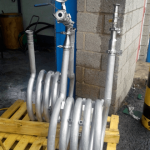 PSS Engineering can provide hydrostatic and pneumatic pressure testing to all process equipment complete with certification of test and calibration certificates for all equipment used. 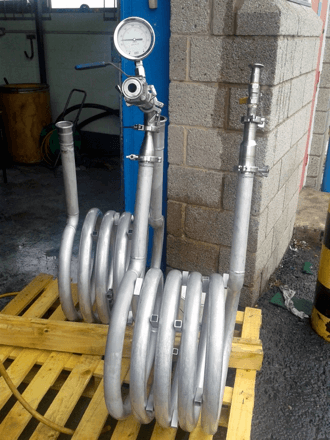 Our in house testing technicians can cater for various process system sizes and connections. PSS Engineering provide surface roughness testing and certification to allow our components to successfully pass our clients surface finish needs. Our in house surface profilometer is a Mitutoyo SJ-301 handheld unit which is maintained, serviced and calibrated on a 12-month basis to ensure our certification is kept accurate and up to date. 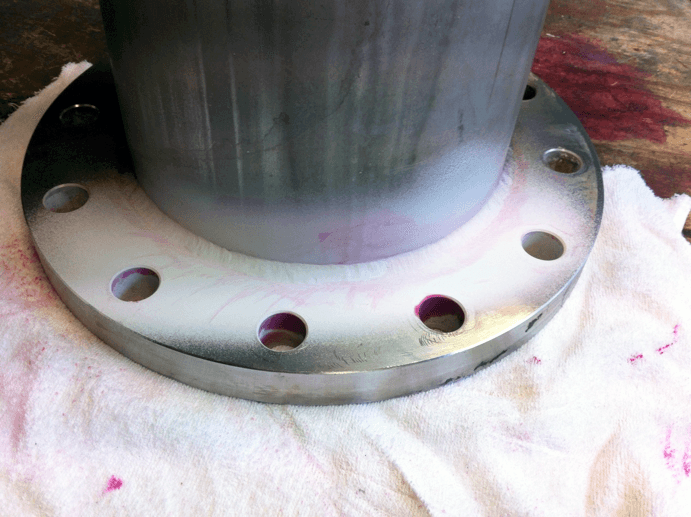 Dye penetrant testing can be a performed at fabrication or in-service and provides the tester with an indication on the evidence of flaws within the weld. The process involves a dye (red) which is sprayed onto the weld and left to work by capillary action into crevices which may lead to faults in the weld. The dye is then subjected to a developer (white) which will neutralise the surface dye and show any dye which is developing into a fault in the weld. 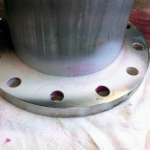 Failures of dye penetrant tests are typically x-rayed to ensure that repair work is completely necessary. 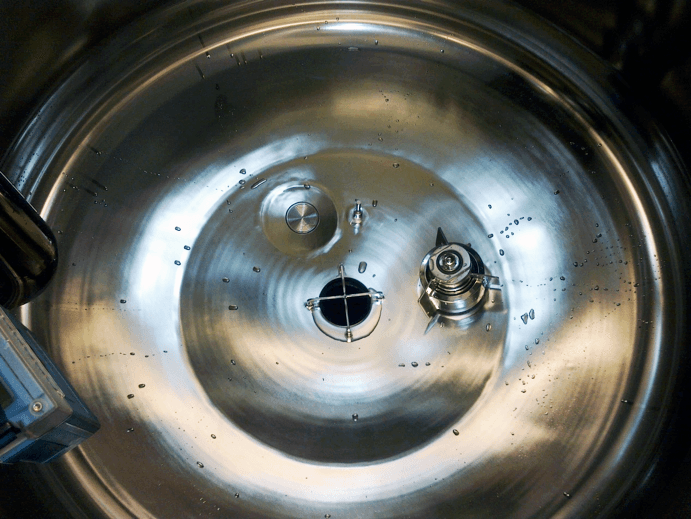 Following a successful dye penetrant test, the developer solution and dye is completely removed using a solvent based cleaner to rid of any contamination elements. 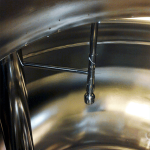 Riboflavin testing is performed on vessels designed for clean-in-place (CIP) procedures. The testing involves carrying out a cleaning cycle using the built in CIP features with a soluble dye sprayed on the internal surfaces. 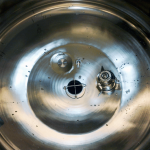 After multiple cycles, the internal surface areas are tested for evidence of dye and its residue to determine the CIP suitability and effectiveness. The dye is an inert protein based soluble fluid which is visible under a fluorescent light. 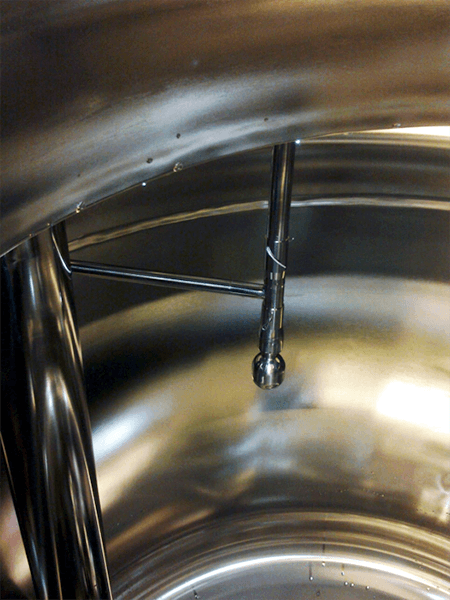 Many of PSS Engineering’s products are subject to strict sanitary tests before delivery to Pharmaceutical or Biotech sites. These tests are form critical acceptance criteria for the products we manufacture as they must be of a standard of cleanliness and adherence to design principles in order to successfully manufacture pharmaceuticals. 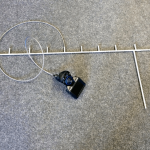 PSS Engineering has set up a network of suppliers with equipment capabilities to suit our products. 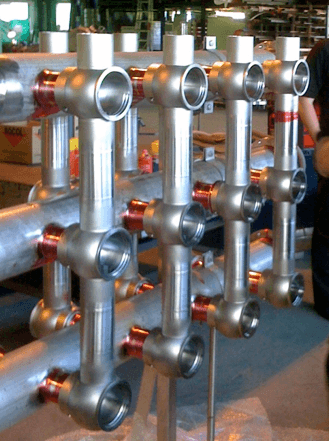 All suppliers providing testing applicable to BS, EN & ASME standards are accredited and approved to perform and officially certify our vessels and piping products.